Fairborn junior outfielder Riley Davis fouls off a pitch in the third inning of Friday’s loss to Troy at Community Park. 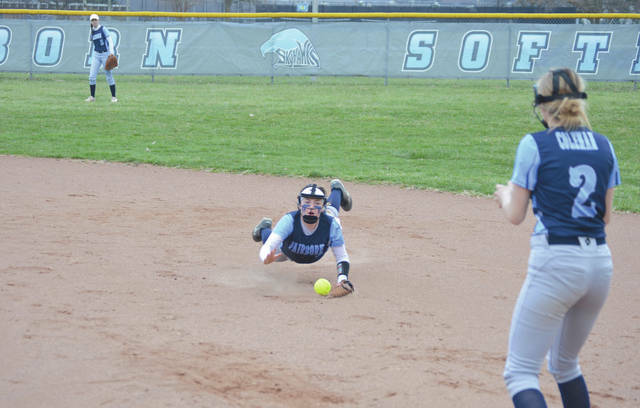 Fairborn second baseman Madison Durbin gets airborne as she flips to first baseman Kelsie Coleman for an out, April 5 at Fairborn Community Park. 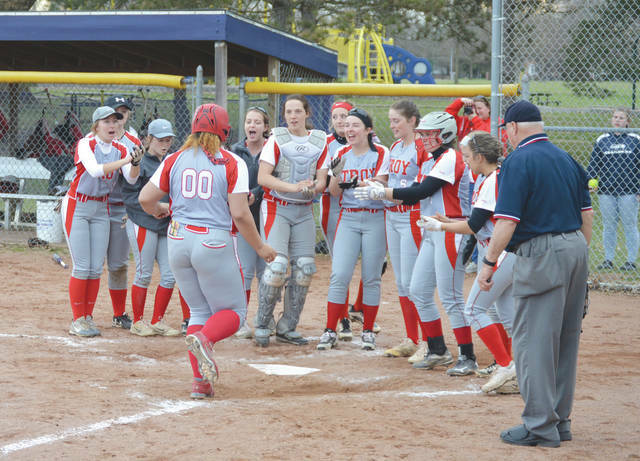 The entire Troy Trojans team waits to greet junior first baseman Tia Bass (00) after she clouted a solo home run over the right field fence in the fourth inning of Friday’s April 5 win over host Fairborn. 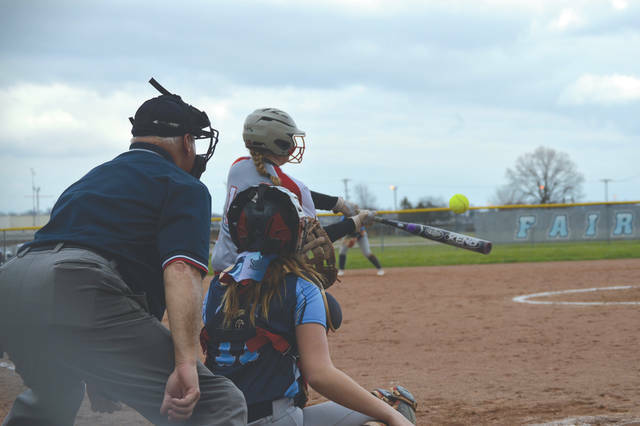 Troy’s Ella Furlong fouls off a pitch during Friday’s April 5 high school softball game at Fairborn’s Community Park. 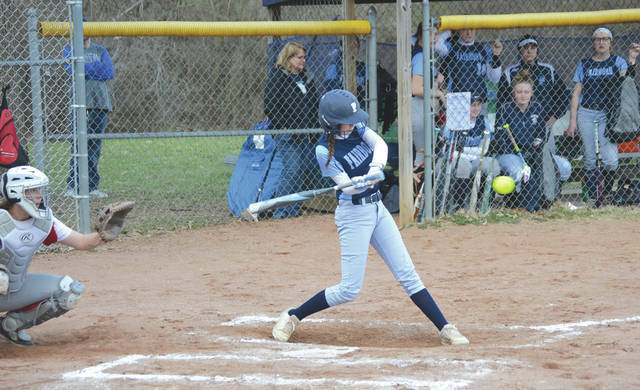 FAIRBORN — After a rough start to their season, the Troy Trojans softball team enjoyed a run-ruled road win Friday April 5 over the Fairborn Skyhawks at Community Park. Assuming the forecasted rain stays away, Fairborn (4-2 overall, now 2-2 in the GWOC American South) will host a doubleheader with Huber Heights Wayne. The first game is set for an 11 a.m. start, with game 2 scheduled for 1 p.m. Troy has the weekend off. The Trojans will next play at 5 p.. on Monday, April 8 at Sidney.